Best of 2018, back by popular demand for a limited time! "Bill Murray crashed my karaoke session." 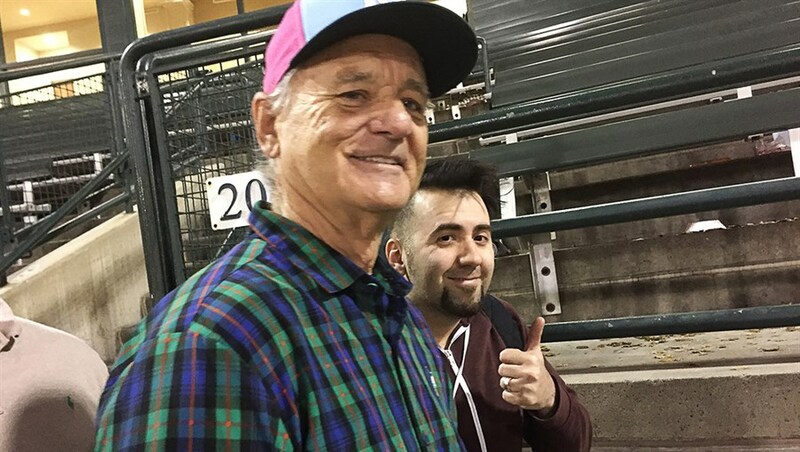 "Bill Murray photobombed our engagement pictures." Reports of the comedy icon spontaneously interacting with complete strangers are legion—but why would someone so famously averse to publicity create scores of moments guaranteed to be instantly and wildly public? Join filmmaker Tommy Avallone on a laugh-out-loud detective quest to discover which "Bill Murray stories" are true and, more to the point, what's in it for the mythical man himself. This whimsical investigation is an inspiring reminder for everyone, whether famous or perfectly average: all we have is the fantastically strange and fleeting now.